The federal government shutdown, now in its 28th day and with no end in sight, is impacting 18,000 federal employees that work at affected agencies as well as an unknown number of low-wage federal contractors in New York City. “Beginning March 1st, millions of New Yorkers will lose a total of $500 million a month in vital federal support, such as food stamps and rental assistance,” said New York City Mayor Bill de Blasio. 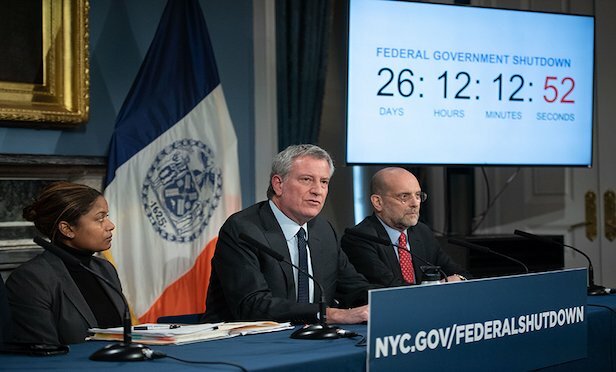 NEW YORK CITY—Mayor Bill de Blasio has put a price tag on the partial federal government shutdown on New York City taxpayers—$500 million a month.